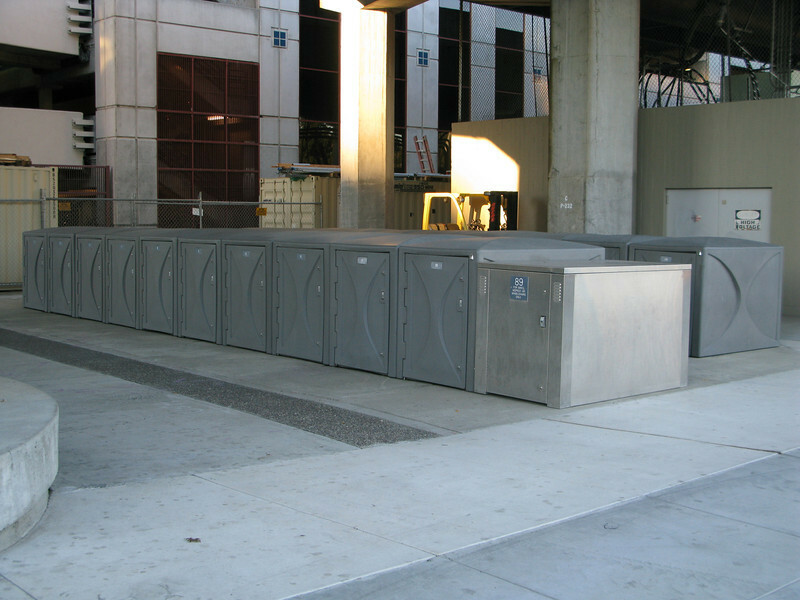 Bicycle lockers at the Pleasant Hill BART station were also funded through Transportation Enhancements in 2003. The Iron Horse Regional Trail connects two counties and 12 cities along 33 miles of the Southern Pacific Railroad right-of-way. Between 1997 and 2002, $3,107,000 in TE funds financed trail expansion and infrastructure, including under- and over-passes. The Iron Horse Regional Trail is open to pedestrians, bicyclists, and equestrians. The trail is a popular route for commuters as well as school children. It is convenient to a Bay Area Rapid Transit (BART) station, bus stops, and park-and-ride facilities. The trail passes through commercial areas that have benefited from the establishment of the trail. Restaurants, ice cream parlors, and bicycle and sporting goods stores have specifically located themselves alongside the trail. Many businesses now include bicycle parking in support of the trail. The Iron Horse Regional Trail provides thousands of citizens an alternative way to travel while serving as a linear park and greenway providing habitat for wildlife.